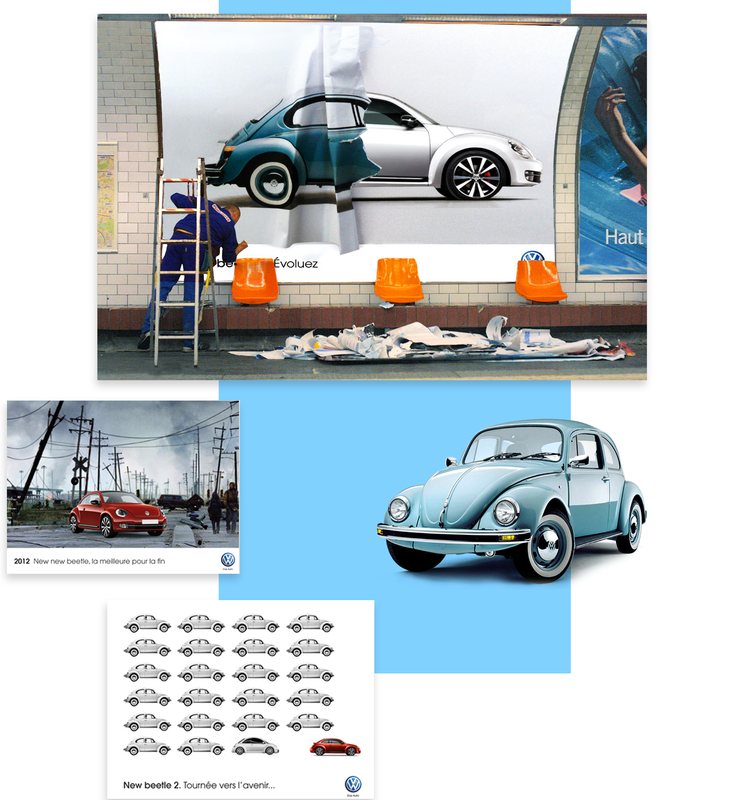 The contest was : Creation of several visuals for the new launch campaign of the Volkswagen New Beetle. I tried to express the idea that the brand evolves while keeping its past values and prestige. Contest winner visual is the first, the others are non-winning additional visuals. Concept & Art Directors : C.Manuel – G.Obert.